Create Quizzes - Do you Need a Quiz for your Wix Website? / Create Quizzes / Do you Need a Quiz for your Wix Website? Do you Need a Quiz for your Wix Website? 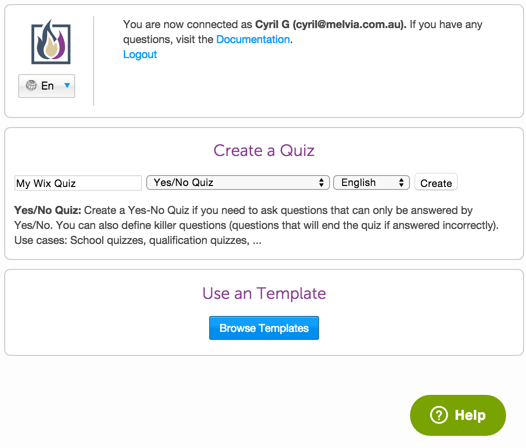 If you own or manage a website powered by Wix, adding a Fyrebox Quiz is very easy. After logging in on Wix, visit the Wix App Market at http://www.wix.com/app-market/fyrebox-games-and-quizzes/overview and click on the “Add App” button.